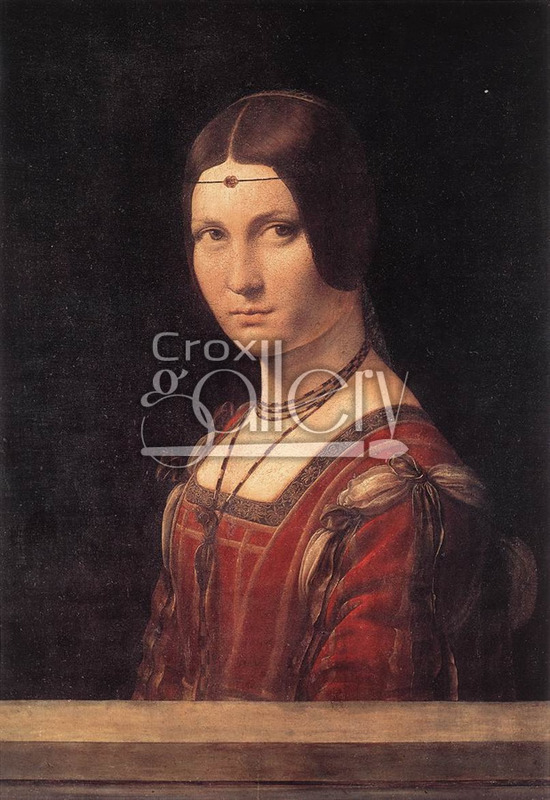 "Belle Ferronniere" by Da Vinci, Oil Painting Reproduction. 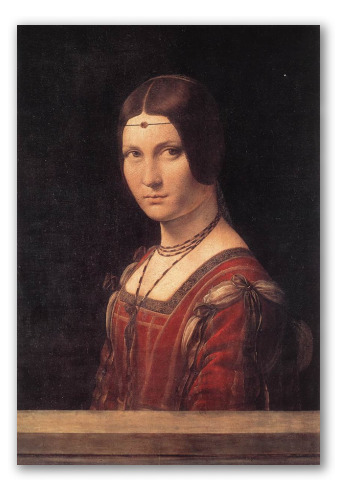 Belle Ferronniere is a Renaissance portrait that was painted in the 1490s by Leonardo Da Vinci. The original dimensions are: 17.7 x 24.8 in.